Hello wonderful Steemians. 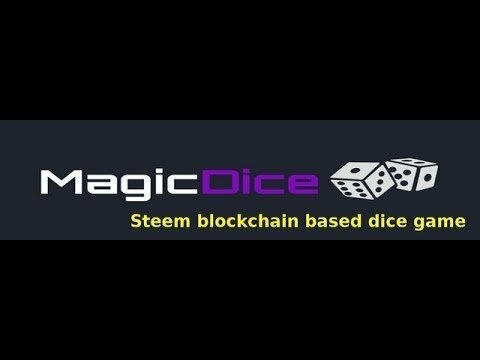 Here to do a quick blog about @magicdice , a gambling dapp on the Steem blockchain. For some time I have experimented and gambled using EOS dapps with mixed results. My favorite, BetDice, is very similar to Magic Dice and that is probably why I enjoy it so. There have been dapps whos user interface is poorly managed or explained and I have made bets that I didn't intend too (then lost). The reward scheme for many betting dapps is good, but I feel as though @magicdice has one of the better reward structures I've seen. In addition to being granted tokens for betting for dividends, you can delegate steempower to magicdice and receive tokens daily that way. There also is a pretty slick rewards structure. 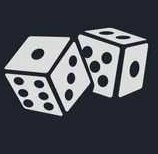 This is also the first dice dapp I have seem on the Steem blockchain ( I may be wrong), but it is set up for a bright future. I will be playing and hopefully some dice rolls in the near future. On the chance you read this and are inclined to play, here is my referral link, use it and let's get winning! I think what draws me into these dice games is not only the prospect of winning more crypto with good odds, but that the gambling dividend tokens will reap reward over the long term as the platform and cryptocurrency grows. We are but small peanuts, but as Steemit and Steem continue to popularize, these platforms will also and with that means more bets, more dividends, and more people interested in buying the dividend tokens. We shall see if that does come to fruition, but it is another added bonus for me when playing these games. I also play bc it’s fun and I am trying to accumulate Magic tokens which I a making a speculative bet that they will be worth something in a few years due to the dividends as the game and platform grows. Did s DCF valuation using my dividends received and the token value at a 15 to 20 discount isn’t much but if it is eventually allowed to be traded when SMTs are launched it could be a good opportunity since then the tokens will have liquidity and essentially I have paid nothing for these as I have not really lost much at all yet. Now I just use the max odds of winning bet to basically farm the token. Also As the users Increase on Steemit we should see higher dividends as discussed bc there will be more house edge to distribute. Hoping we can get liquidity soon so I can tell what these are really worth! Who knows haha I’ve looked everywhere and no definitive answer. Hope this year! I would live to know what they are worth. You could come up with sone estimate based on average dividend yield per token and use the discounted cash flows method to value the cash flow stream if it were to continue l. This cold get s rough idea of value per token but it would have a very wide margin for error lol. At least would be something though. I will prob do this for now and use a high Discount rate due to uncertainty of the token. Just want an estimate on my balance sheet for value.